After a noisy car ride, the country twilight seems quiet and peaceful. For you, perhaps, it is. But this same twilight is also home to another world. A world that dances and sings, lives and dies, beyond the reach of your senses. It is a world where screams of danger go unheard by the human ear, where flowers dance with color invisible to our eye. In this world a bat creates a picture with sound, a female moth uses a language of scents, and a snake locates prey by "seeing" his victim's heat. 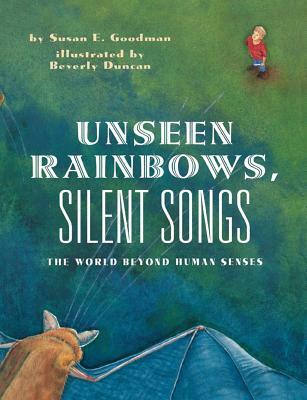 Through her vivid exploration of the country at twilight, Susan Goodman describes animal senses that go far beyond our own. As she explains the roles theses senses play for various animals, she shows how different their world can be from the one we know.